At the Lydia M. Olson Library, we offer a large selection of Ebooks. The link to the main collections we offer is next to the green arrow on the photo below. Thousands of individual ebook titles are in our library catalog. 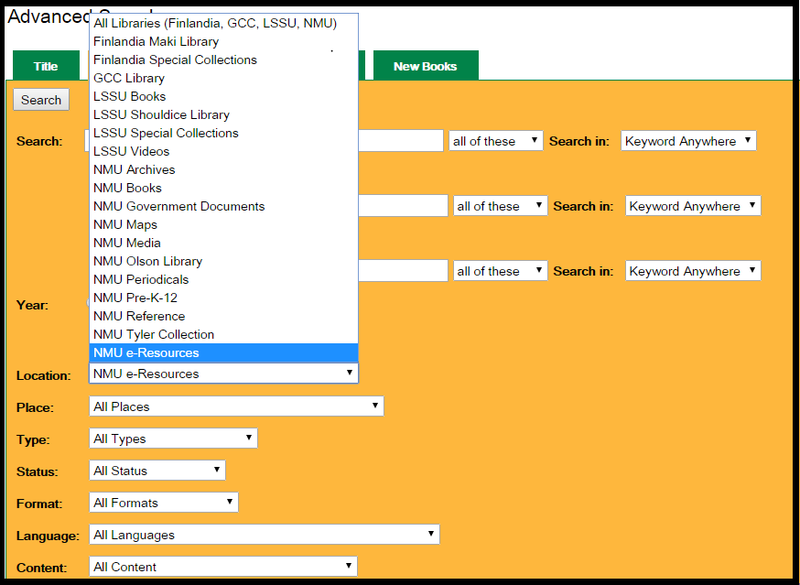 In Advanced Search you can limit your search to e-Resources. Another option would be to pick an Ebook publisher that offers a lot of books on your topic. The nice thing about ebooks is that they are available anytime, especially helpful for late night research projects. 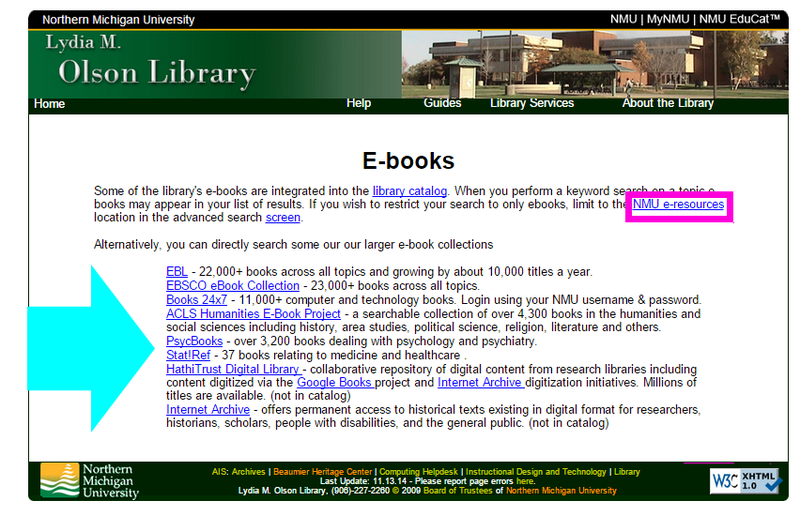 The publishers are shown next to the right of the blue arrow while the pink rectangle highlights how to get to the NMU catalog. The finial option would be using OneSearch to find online materials. 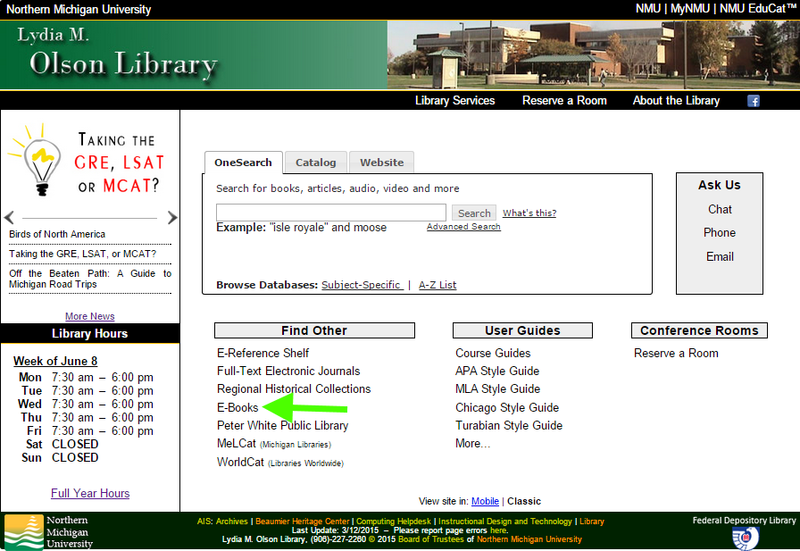 You can search it by going to the library homepage and searching the subject of your choice as highlighted by the red rectangle. 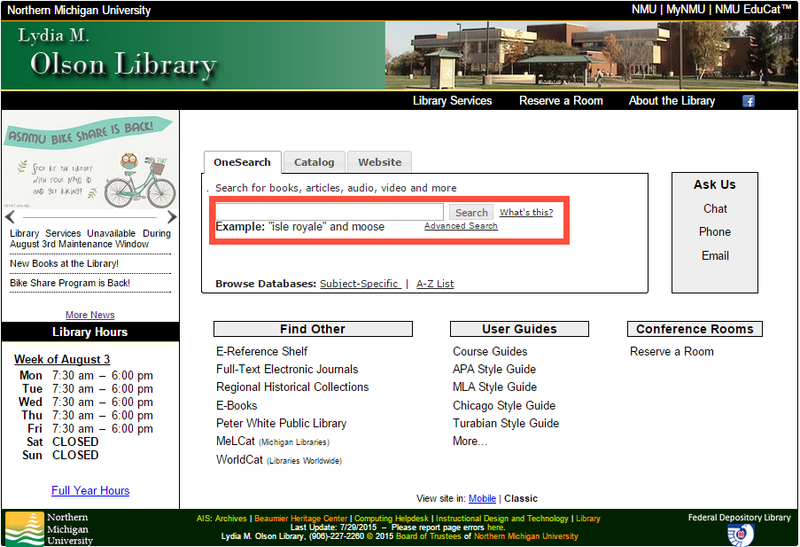 Once in the system, you can search by eBook or a number of other subject headings as shown by the blue arrows below.